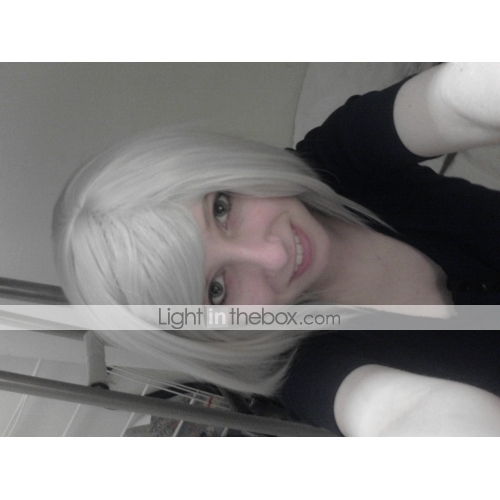 This wig is amazing the layering is really cool.The hair is not very thick but still looks epic! I dont know about how the shipping was as it was a crimbo present ,but i have bought many things from this website and it has never let me down. :3 ^0^ :) ^v^	yo! The head size was a little small, but I was able to make it work for the days that I needed it. Was sent in great condition and in an acceptable amount of time. The head size was a little small, but I was able to make it work for the days that I needed it. Was sent in great condition and in an acceptable amount of time. its just perfect! Everything happened in time and the wig is of good quality. cest juste parfait! Tout est arrivé dans les temps et la perruque est de bonne qualitée. High quality, correct packaging. Everything is fine with the product. Kiváló minőség, korrekt csomagolás. Minden rendben van a termékkel.